On hearing the success of the Wuchang Uprising while he was abroad, Dr. Sun Yat-sen began to be busy seeking sponsorship in and develop the diplomatic relationship with various countries in Europe and America. In December 1911 he returned to Shanghai. 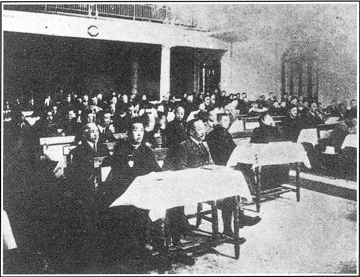 Delegates of all the provinces involving in the uprising held a meeting in Nanjing and elected him president ad interim of the Republic. On January 1, 1912, Dr. Sun Yat-sen left Shanghai for Nanjing to take the oath of office and proclaim the founding of the Republic of China. Under his leadership, the provisional Constitution of the Republic of China formulated a series of policies and laws and decrees beneficial to democratic politics and economic development. 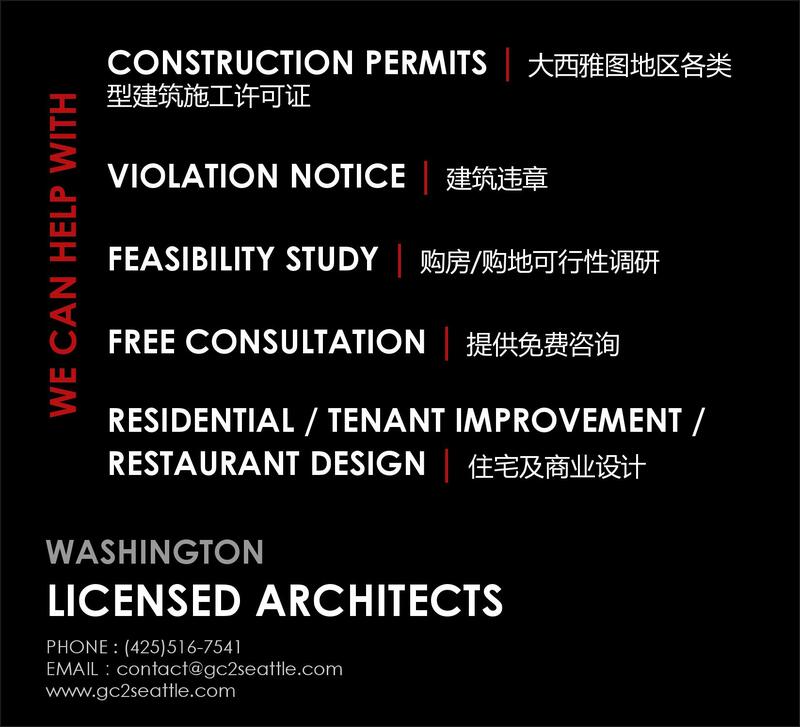 On April 1912 Dr. Sun Yat-sen resigned from the pr esidency and compelled by the then circumstances. He was succeeded by Yuan Shikai, who was a traitor of th e revolution. 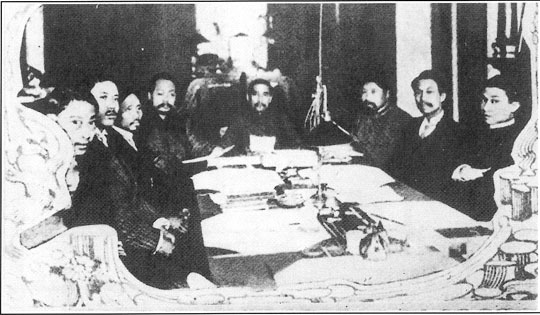 After Yuan’s declaration restoring monarchism, Dr. Sun launched the “Second revolution” against Yuan Shikai in 1913. The next year, Dr. Sun organized in Japan the China Revolutionary Party to prepare an uprising against Yuan’s regime. 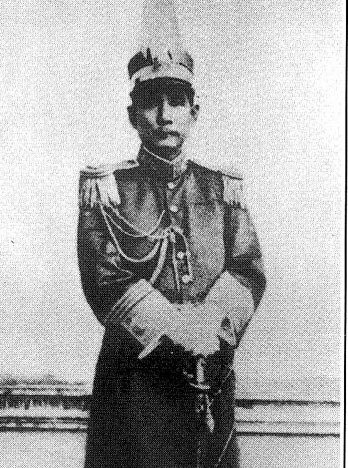 In 1917, Dr. Sun called an Emergency Congress in Guangzhou to set up a military government with himself as the Generalissimo. On May 4, 1918 he resigned due to the disappointment to the warlords. He went to Shanghai, devoting himself to drafting “the Outline of Program for the establishment of the Nation” . Two years later, he reformed the China Revolutionary Party into the Kuomintang and was elected as the president of the party. He returned to Guangzhou at the end of November and assumed the post of the Provisional President of the Chinese Republic on May 5, 1921. 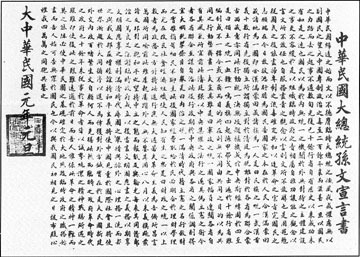 However, he was compelled to leave again by Chen Jiongming an d his Guangdong troops. Until now, all the Chinese people pay respects to to Dr. Sun Yat-sen’s remains and feeling his noble spirit. People will offer their respects and cherish the memory of him.